Share Market Today: Top laggards on Nifty were Indiabulls Housing Finance, Maruti Suzuki India, Bajaj Finserv, Tech Mahindra and Tata Motors. 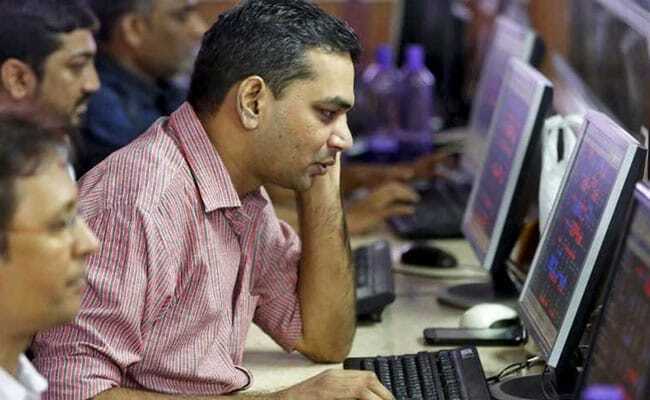 Stock markets plunged 1.6 per cent on Thursday with the Sensex closing 572 points lower, led by an across-the-board selloff. The 30-scrip BSE benchmark index finished at 35,312, after falling as much as 617 points - or 1.7 per cent - during the session. The broader Nifty50 of the National Stock Exchange dived 181 points to settle at 10,601 for the day. Both the indices recorded their lowest closing levels since November 22. Losses in financial, IT and auto stocks dragged the indices lower. Top laggards on the 50-scrip Nifty index were Indiabulls Housing Finance, Maruti Suzuki India, Bajaj Finserv, Tech Mahindra and Tata Motors, finishing between 4 per cent and 6 per cent lower. The market breadth favoured the declines with 1,321 stocks falling on the NSE and 412 rising. On the BSE, 1,809 stocks declined while 740 advanced. Credit ratings agency Fitch lowered India's GDP growth forecast to 7.2 per cent for current fiscal year from 7.4 per cent, citing higher financing cost and reduced credit availability. Analysts expect nervousness in the markets to continue until key state election results due next week. “While the recent rise was backed by several global factors such as developments in US-China trade talks and falling crude oil prices, investors are now reducing positions ahead of state election results,” AK Prabhakar, head of research at IDBI Capital Markets, told NDTV. The Nifty IT index - comprising technology stocks - fell 2.1 per cent while the Nifty Auto barometer of automobile shares ended 2.2 per cent lower. The RBI kept interest rates unchanged and retained its "calibrated tightening" stance on Wednesday as widely expected and took steps to persuade banks to lend more to help boost an economy that has lost some momentum. The government, which has been at loggerheads with the central bank, said it welcomed the Monetary Policy Committee's assessment but it believed the "policy stance probably required calibration," suggesting it may be unhappy with the central bank retaining its tightening bias. Analysts say the central bank's policy statement on Wednesday was broadly in line with Street expectations. “Monetary policy outcome was in line with expectations, although there were some pockets who were expecting a CRR (cash reserve ratio) cut which did not happen," news agency Reuters cited Siddharth Sedani, head of equity advisory at Anand Rathi, as saying. The central bank, however, lowered its inflation projection to 2.7-3.2 per cent by March-end from its prior view of 3.9-4.5 per cent.